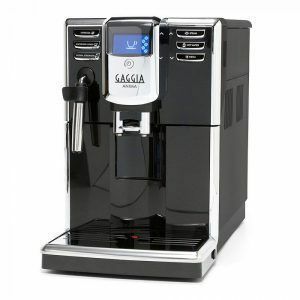 This Gaggia espresso coffee machine is an affordable choice for those who want to enjoy high-quality coffee in the comfort of their own home. 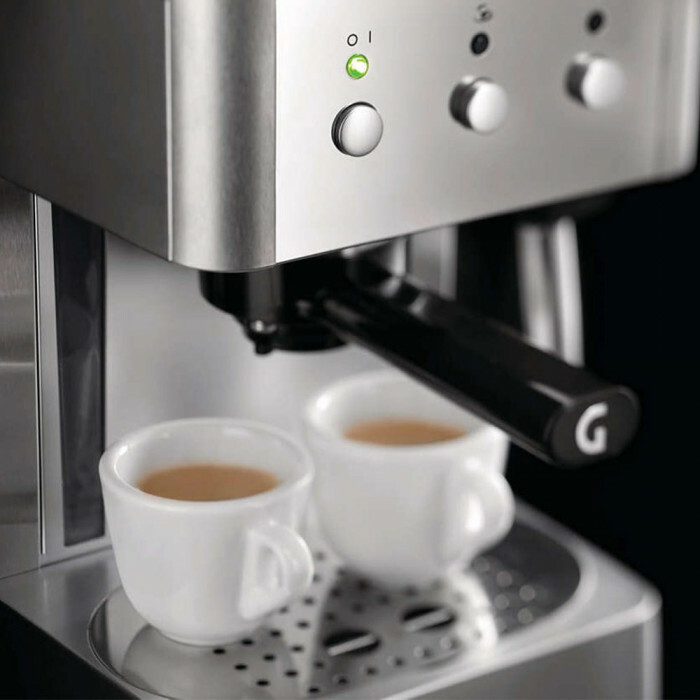 Taking both capsules and pre-ground coffee, the Gaggia Gran Prestige RI8327/01 offers users a no-fuss, no-mess coffee experience. 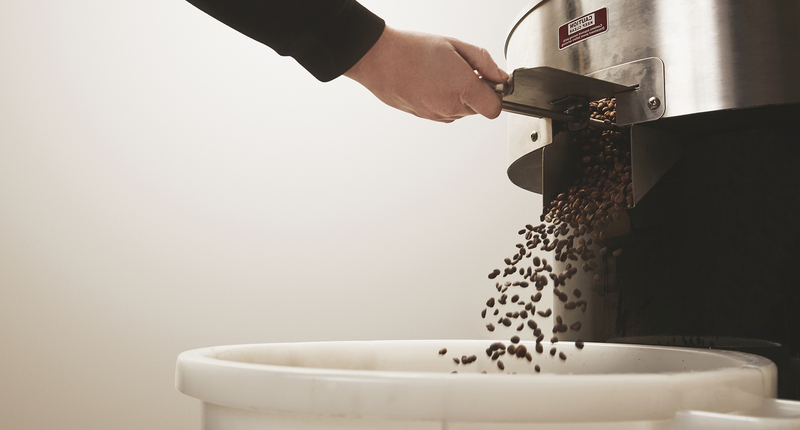 With a simple three-button system, users can select single or double espressos, which are produced with good crema. 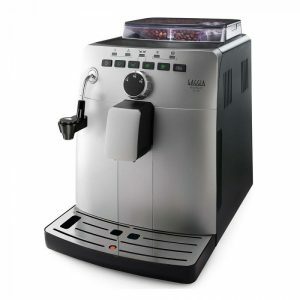 Double espressos are dispensed simultaneously through the twin dispense nozzles, or two cups can be prepared at once. 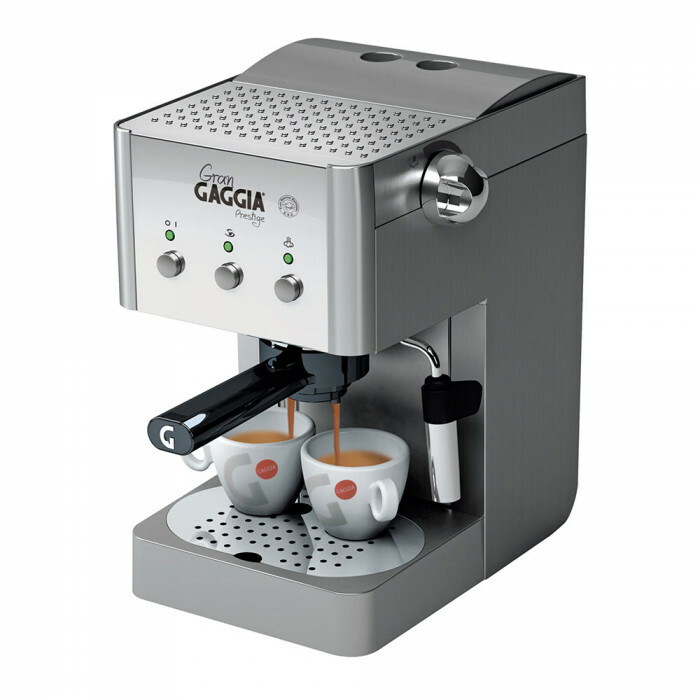 Despite the simple display, this Gaggia espresso allows you to adjust the settings to meet your personal preferences when it comes to strength and length for your perfect caffeine hit. 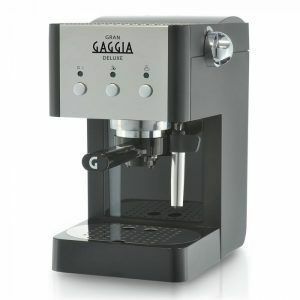 This Gaggia Deluxe espresso machine boasts a professional 15 bar water pressure that ensures the highest quality espresso. 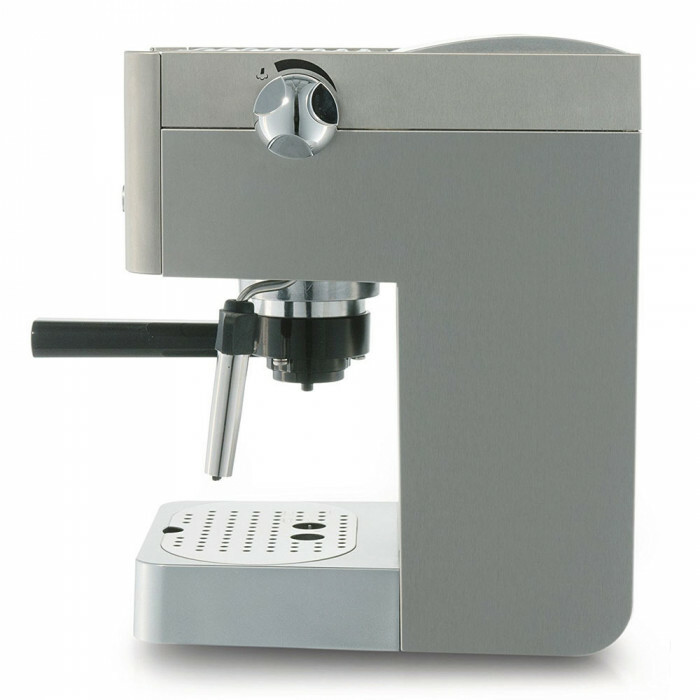 And the manual Pannarello milk frother produces milk that’s ideal for all milky coffee types, including lattes, macchiatos and cappuccinos. 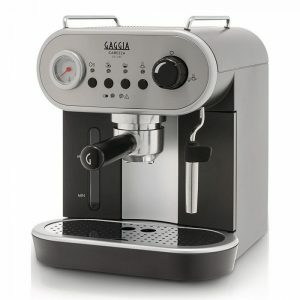 The frother is controlled using the dial on the side. 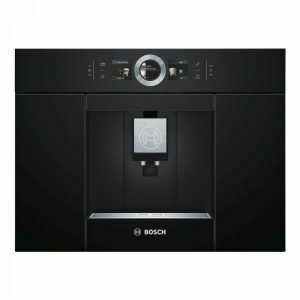 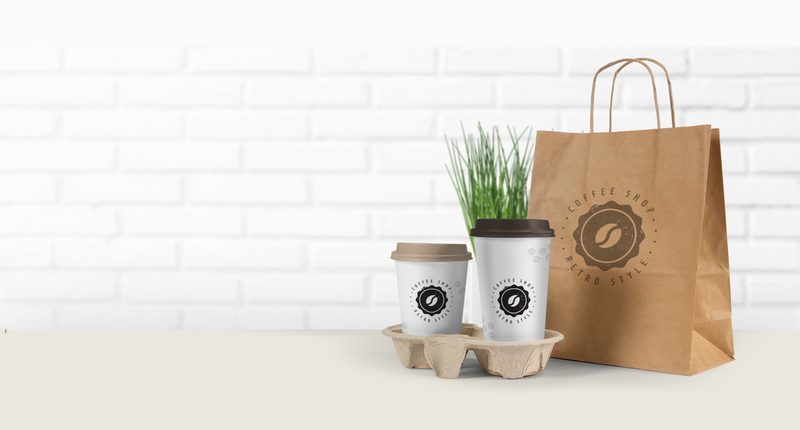 Constructed with a stainless steel boiler, this espresso machine also provides users with an integrated cup warmer and boasts built-in storage for your coffee pods and the adapter for using ground coffee. 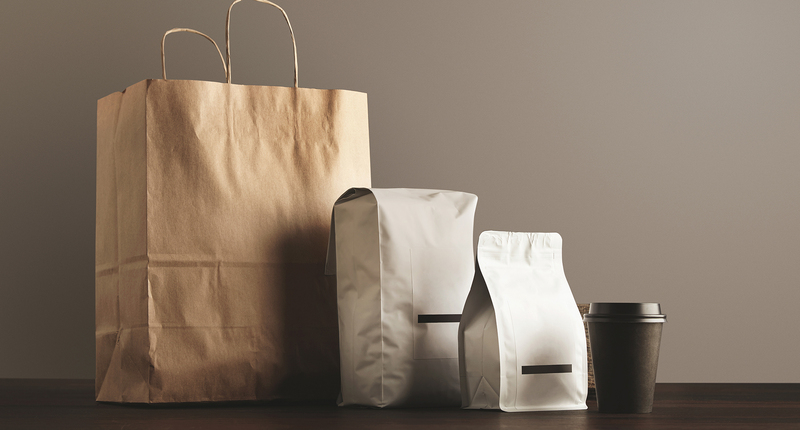 For cleaning, users are required to run the descaling programme manually, using descaling tablets.